As we all know that most of the Android custom ROM comes without the Gapps (Gapps 7.0 & 7.1) or Google applications. 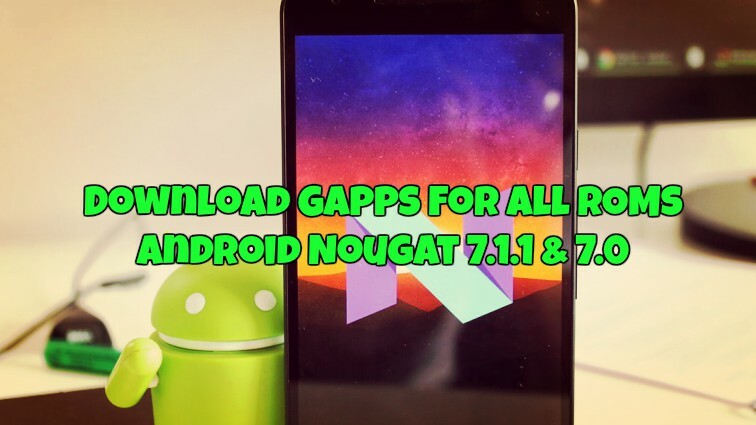 So here in this guide, we will discuss how to Download Gapps For All ROMs Android Nougat 7.1.1 & 7.0. Gapps packages are packages with all the Google application that comes with the Stock Android OS. 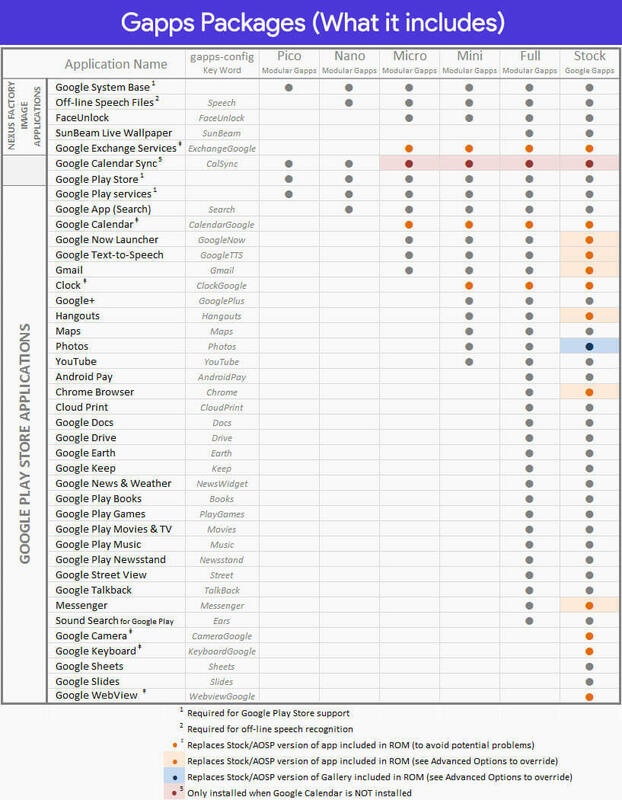 It includes Gmail, Google+, Google Drive, Google Market/Play Store, Google Musics, Google Docs, Goole Earth, Google Search, Youtube, etc. These apps cannot come pre-installed in the custom ROM like LineageOS or any other custom ROM. You need to install them separately on your custom ROM, to enjoy the services of google. There’s different Gapps package available on this guide, and each Package is of different size and comes with various Google Applications. The small Gapps package ahs some limited app and the large Gapps packages are packed with the updated Google Application. Here in this guide, you can see which package is right for your phone and how to install them on your custom ROM. As we already mention above that the all custom ROM are not packed with these Gapps and you need to install them separately on your phone to run the Google applications. So you need to manually install them by flashing a compatible Gapps package from TWRP or any other custom recovery. All you need to flash them after the Custom ROM on your phone and you are done.Below is the guide which you can use to install the Gapps For All ROMs Android Nougat 7.1.1 & 7.0. Below are links to all the update Gapps zip file, which you can download on your phone and install the same on your Android phone with the help of Custom recovery. If you don’t know which Gapps suits to your custom ROM, then you need to install this on your phone. This package includes a most useful Google Apps which most users need or use on their Android devices. This Gapps packs comes with all Google Apps that come pre-installed on the Nexus 6P and 5X. Comes with Limited Gapps or Google Application and plus some more apps that aren’t up for download on the Play Store. Basic Google Apps like Gmail, Google launcher, Play Storte etc. Recommended if you use basic Google Apps. It contains all the Google services & framework apps. Comes with Play Store app, plus framework files required to make Play Store work. 1. Download and transfer Nougat Gapps package to your phone’s internal memory. 2. Now boot your device into a custom recovery (TWRP preferably). 3. Once your phone in a recovery mode, Install/Flash the Nougat Gapps package .zip file you transferred in Step 1. That’s it! You have successfully installed Gapps on your device.